Come learn how to make this beautiful appliquéd quilt. 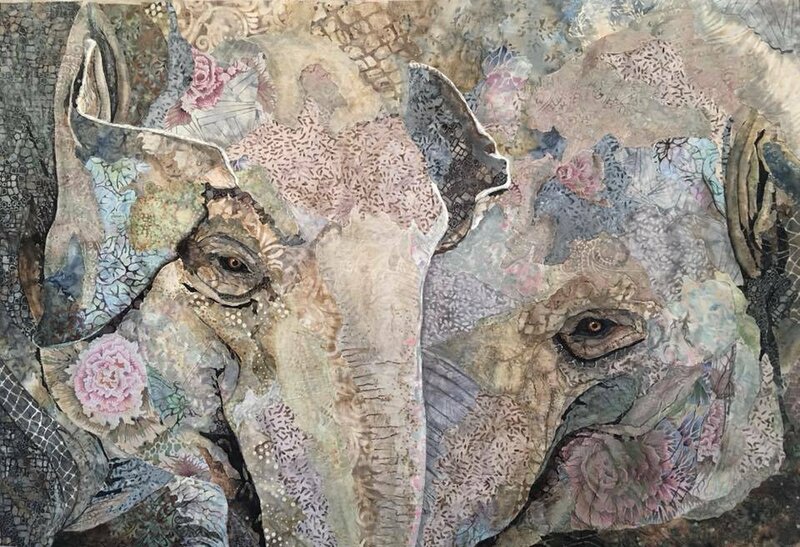 Award winning Art Quilter Sandra Mollon of Northern California is coming to Fabrics Unlimited March 4-7, 2019 for a 4-day workshop to teach her original elephants design. She will take you through the entire process from selecting fabrics, to appliqué techniques, shading and highlighting with inks and markers, and finally quilting. Beginning students need to make this pattern. However, advanced students will be allowed to work from their own original photograph if they so desire. Cost for this 4 day extraordinary event is only $225 + supplies. (That’s less than $60 per day!!) Call, come in, or register online today!